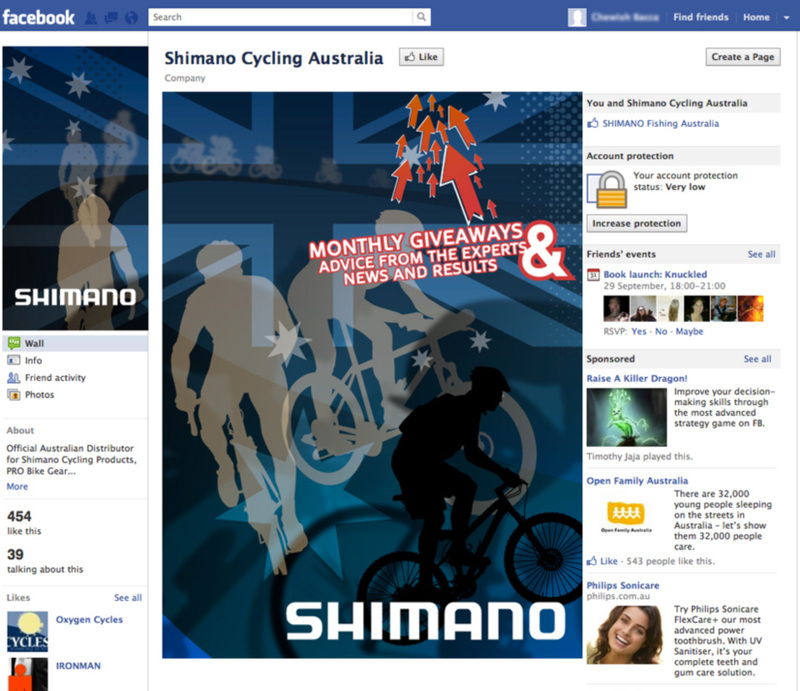 During my time with Shimano Australia I was responsible for designing both Facebook pages for the Fishing and Cycling divisions of the company. The brief required that I create a graphic way of highlighting the 'Like' button on the top of the page, in order to convert users. The Fishing page is composed of large school of fish coming together as they emerge from the deep to reach the surface in an arrow like formation towards the desired target. Reaching the Like button is the recognisable game fisherman's Striped Marlin as it launches itself above the waves. When considering the design for the Cycling page I had to include a combination of road bikes, mountain bikes and triathlon. The page also had to have a uniquely Australian element, which I attempted to achieve by using the Australian flag. 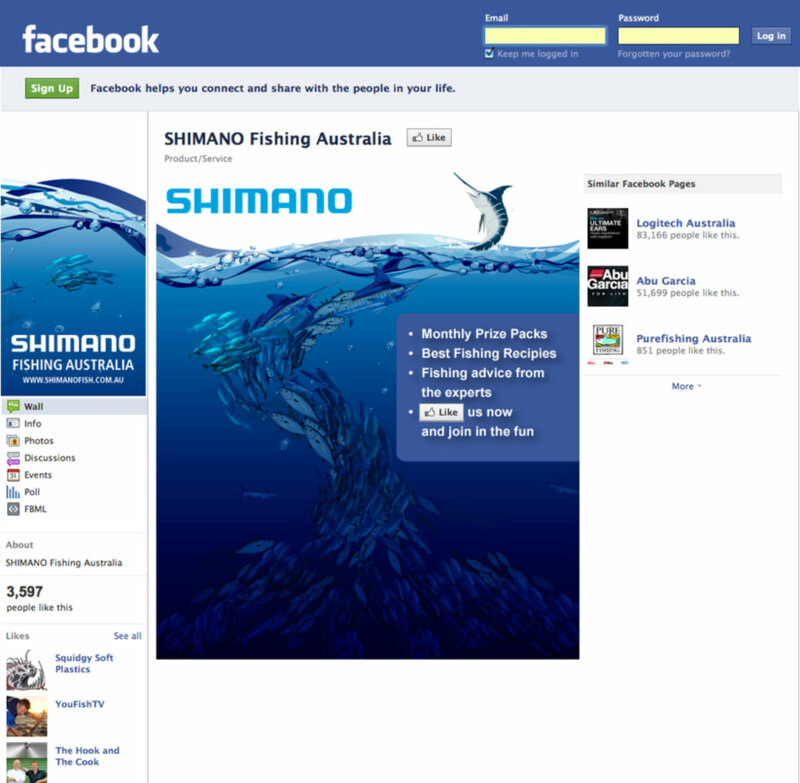 As with the Fishing page the graphic needed to flow smoothly from the page icon into the main landing page. 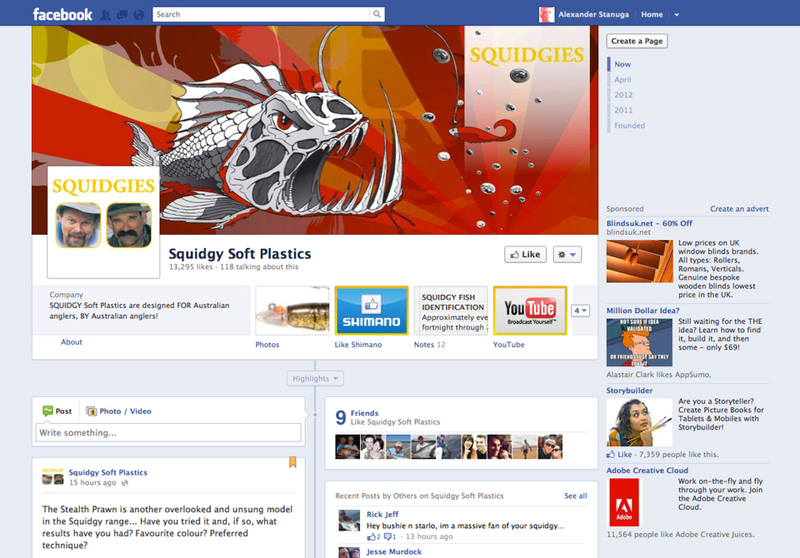 Please note: as of 31st March 2012, facebook changed it's business pages layout to the timeline format. The work shown here was completed and live prior to this.